A Disgruntled Republican in Nashville: Mark Winslow, member of the Republican Party SEC, is still working for Democrat Judge-elect Melissa Blackburn. Mark Winslow, member of the Republican Party SEC, is still working for Democrat Judge-elect Melissa Blackburn. to defeat Republicans and elect Democrats. Remember Mark Winslow? He is the member of the Republican Party State Executive Committee who worked to defeat a Republican candidate and elect a Democrat to the office of judge in Davidson County. He first worked to help Melissa Blackburn win her Democrat nomination. When he came under criticism for working for a Democrat, he claimed that he was only working for her during the primary and would not be doing so in the General Election. He claimed he was doing so only because it was required by his employer, SmithWaterhouse Strategies. We know that Winslow continued working for Blackburn because he was still seen at events with her and putting up yard signs on her behalf during the General Election. He helped Blackburn beat our Republican candidate, Marian Cheadle Fordice for that office. Our candidate had much more experience in the field of mental health law and had a real heart for the job. Winslow's candidacy to run again for a seat on the State Executive Committee was challenged on the basis that he was campaigning for a Democrat. Unfortunately, Chris Devaney, Chairman of the Party and a person up until that point that I had always respected, failed to rule Winslow as ineligible to run for that seat. Winslow ran and was reelected. Serving on the Republican Executive Committee gives one access to Republican strategy and data and puts one in the position to vote on how much, if any, funds will be given to Republican candidates. I do not see how anyone cannot see that having a member of the Republican SEC campaigning to elect a Democrat and defeat a Republican, is not a conflict of interest. I do not see how Mark Winslow in good conscience could work to defeat a Republican and elect a Democrat and still serve on the SEC. A person of character would have resigned his position with his employer or would have resigned his position on the Republican State Executive Committee. One cannot serve two masters. I had heard a few weeks ago that Winslow was working for Judge-elect Melissa Blackburn, but wanted to wait until it was confirmed to bring it up. Below is a news paper story that confirms he is still working for Blackburn. by Brian Haas, The Tennessean, September 3, 2014- Newly elected General Sessions Judge Melissa Blackburn is quickly making her mark as the head of Davidson County’s Mental Health Court. I am so disgusted by this whole episode that I am at a loss for words. 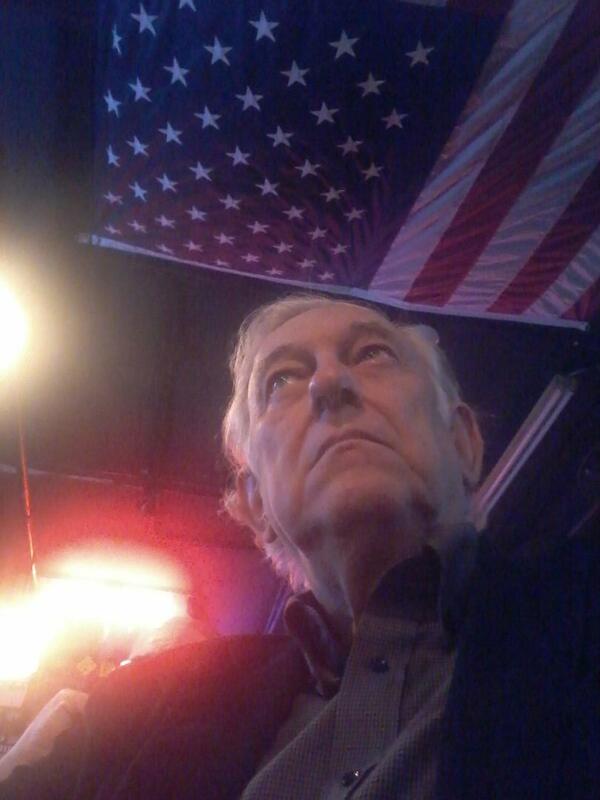 One thing I am not going to do; I am not going to give any money to the Tennessee Republican Party as long as Winslow is serving on the State Executive Committee. I will not be attending the Statesman's Dinner or responding to party solicitations for contribution. I think only real Republicans should be sitting on the Executive Committee, not phoney Republicans who are working to defeat Republicans and elect Democrats. I don't know, but I would suspect that there is a way the Executive Committee could refuse to seat a member or remove one. They should. If this is the kind of Republican Party we have, that can allow a political mercenary-for-hire to have a seat on the Executive Committee, then I want no part of that Party. I guess there is no point in beating a dead horse, but one more piece of evidence that Mark Wislow is a Democrat in Republican clothing, he picked up a qualifying petition for Gary Blackburn to run for the male seat for District 21 of the Democrat Party. 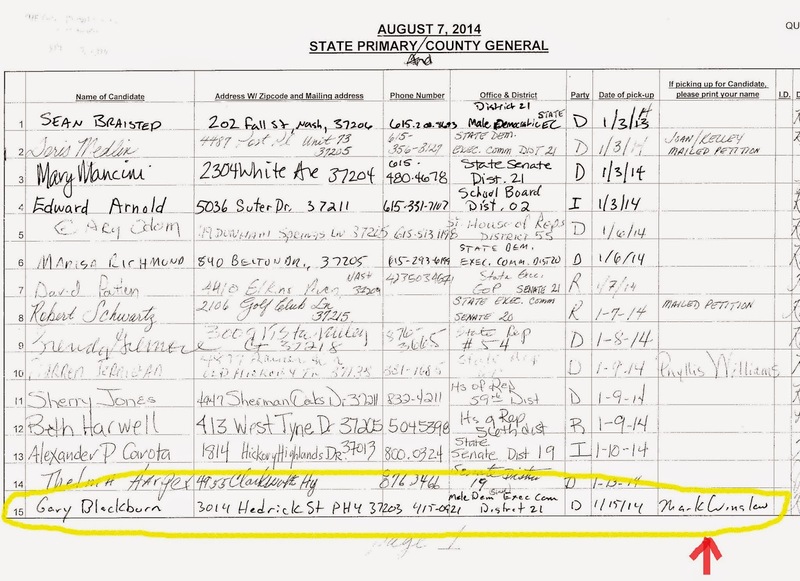 Why would a State Executive Committee member of the Republican Party pick up the qualifying petition for someone seeking a seat on the Executive Committee of the other party? See the below record. To learn much more about Mark Winslow, follow this link.